Persistence pays off. Some levels are fairly simple. Others seem impossible. Yet if you play a level often enough, chances are you will eventually beat it. Some of the most difficult levels (to my mind at least) rely require a large chunk of good luck to pass. Whether you wish to give the game enough of your valuable time to eventually get that lucky break is a question only you can answer. Revisiting "simple" games can make you a better player. Partly because I get very annoyed with the levels that rely mostly on luck, I have deleted Candy Crush twice now. Because I don't save my games via Facebook, when I start the game again, I had to start right from the beginning. A bit tedious perhaps, but I have noticed that this has led to an improvement in my candy crushing skills, especially in spotting the patterns that make the special candies. Just like revising old school work, revisiting earlier levels helps to consolidate my knowledge. It pays to consider the whole problem, rather than just focus on one part. It is very easy to focus just on one part of the board and forget that there may be moves available elsewhere that will get you where you want to go. Be prepared to revise your strategy if it isn't working. I had difficulty passing some levels because I was not using the right strategy. Recognizing this and making changes lead to success. Don't give up until the end. I have lost count of the number of levels I have unexpectedly won on the very last move. Being prepared to go on even if you think you are beaten can sometimes pay off. Keep your eye on the prize. Each type of level has a particular goal. Staying focussed on the end result helps to avoid the distractions that can prevent a successful outcome. Sometimes walking away for a time is the best way to succeed. The first time i deleted the game, I stayed away for several months. When I started playing again, I found that had a much better idea of how to play and the patterns that I was looking for. Shortcuts do not lead to long term success. One of the things that interests me about this game is the business model, which is largely based on players buying extra moves, power-ups and lives. At the end of every failed level you are offered more moves (for $1.29). If you don't take up the offer, you have to play again and again until you pass, so you become a more skillful player with a better grasp of winning strategies. Buying your way through a level deprives you of all that practice (not to mention cash!) 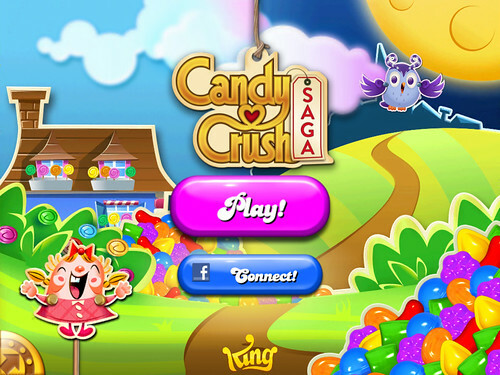 My contribution to Candy Crush's makers to date: $0.